"...I'm Your Favorite Child" Mug Only $15.99! You are here: Home / Great Deals / Amazon Deals / “…I’m Your Favorite Child” Mug Only $15.99! 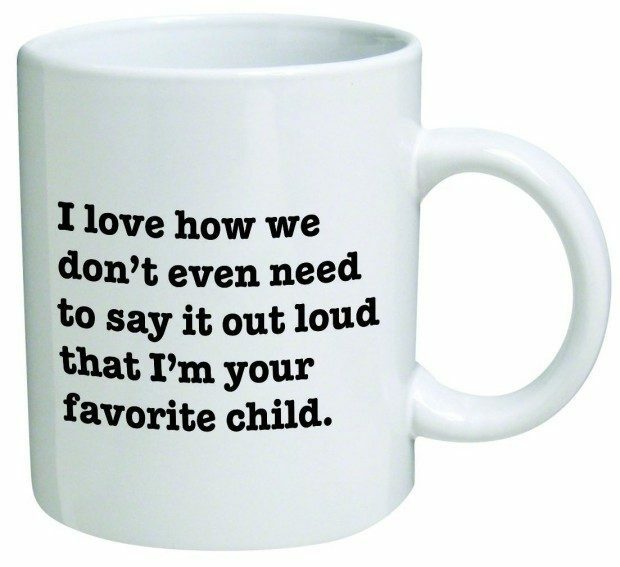 “…I’m Your Favorite Child” Mug Only $15.99! Want to annoy your siblings and amuse your Dad at the same time? Get him the “I’m Your Favorite Child” Mug for Only $15.99! Every time he uses it, you’ll get that warm fuzzy feeling inside!